Here's the improbable (but true) story of how I am able to ship you this $1,997 product for just $197… and why I will never be able to offer this again, even if I wanted to. The story begins back in 2006, when I was Managing Director of Jay Abraham Asia Pacific. 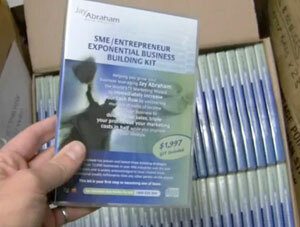 I put together a product called the SME / Entrepreneur Business Building Toolkit based on the verybest strategies from legendary marketing genius Jay Abraham and Peak Performance Expert Anthony Robbins. The Business Building Toolkit was originally conceived in order to give entrepreneurs and SME owner/operators like you a quick start on the fast track to profits by building your business exponentially. Originally designed as part of a host-beneficiary partnership initiative back in 2007, we "codenamed" it the WPT Project – for “Win Profits Today”. The project was designed to be deployed through Host-Beneficiary Partnerships that would create a win-win-win scenario for us, our partners and their clients. We designed, created and produced the physical kits and placed them in storage. We even did a "pre-launch" promotion and sold a number of toolkits at the full "sticker price" of $1,997 on a "first in, first served" basis. But soon afterwards, Jay Abraham Asia Pacific re-branded to Platinum Programs (and later Exponential Programs) and the project never saw the light of day as we deployed other Next Best Steps on our Pathways To Profits. … UNTIL we relocated our inventory to another facility and, lo and behold, there it was! A box full of BRAND NEW Toolkits… but with the old branding. Businesses that were previously growing quickly have started to "flatline"
Can you identify with any of these scenarios? If you can, you're certainly not alone. That’s when it hit me like a ton of valuable inventory in a storage locker. I thought, why not hold a "garage sale" and offer this must-have Toolkit so that ANYONE out there who wants to get going and growing in the deepest recession we’ve seen in recent times can get their hands on it? What price would make it totally and completely irresistible? That’s when I decided on $197 -- to remove any and all price objections anyone would have and totally neutralise the "I-need-it-but-I-can't-afford-it" problem that some business owners might be facing. By pricing this at $197, there was just one risk -- that people might not fully understand the TRUE value of the Toolkit. That's why I've explained everything included in the Toolkit in more detail below. 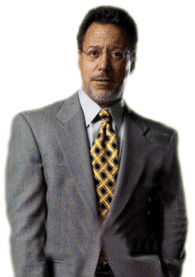 Jay Abraham, the world’s #1 marketing genius, has worked with 12,000 businesses in more than 460 industries from around the globe over the past 30 years creating strategies to uncover hidden opportunities that lie hidden within every business (including yours) that can be quickly, easily and systematically leveraged to generate windfall profits for you within days. Jay’s clients pay him US $5,000/hour just to pick his brain. Others, Fortune 500 companies, pay him millions of dollars to have him on their marketing team on an on-going basis. For the past three decades, Anthony Robbins has served as an advisor to leaders around the world including Nelson Mandela, Mikhail Gorbachev, Bill Clinton, Margaret Thatcher, François Mitterrand, and Princess Diana. A recognized authority on the psychology of leadership, negotiation, organizational turnaround, and peak performance, he has been honoured consistently for his strategic intellect and humanitarian endeavours. 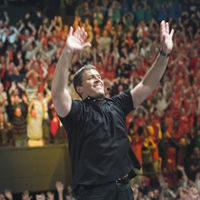 Tony has directly impacted the lives of more than 50 million people from over 100 countries with his best-selling books, multimedia and health products, public speaking engagements and live events. Celebrities who are reported to have appeared without compensation to endorse his work have included Fran Tarkenton, Pamela Anderson, Quincy Jones, Erin Brockovich and Anthony Hopkins. Sports figures and teams that Robbins has coached to improve their performance include Greg Norman, Andre Agassi, the Los Angeles Kings hockey team and Mike Tyson. Dr Marc Dussault, has worked with over 2,000 businesses across more than 200 industries from around the globe over the past 20 years triangulating Jay Abraham Marketing, Anthony Robbins Personal Peak Performance and Brian Tracy Sales and Systemisation Strategies that have uncovered more than 2 million new leads generating in excess of $200 million in wealth for his business and corporate clients. As founder and Managing Director of Exponential Programs, Marc helps entrepreneurs grow their businesses, Internet marketers increase their online sales, executives become corporate rockstars and super achievers get balance back in their lives! It’s as simple as 1, 2, 3…4. Actually 101, 201, 301 and 401…! 30 years. 460 Industries. 12,000 businesses. $9 Billion in wealth created. 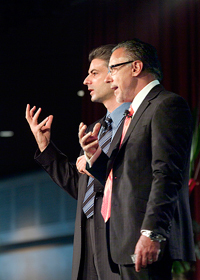 Jay Abraham has created over NINE BILLION dollars of wealth for his clients. He has more than TWELVE THOUSAND case studies to prove without question that his marketing ideas and principles work. They have consistently worked in over 460 diverse industries in both good and bad economic climates. Provides specific examples of how they were used to create cash windfalls in real businesses. 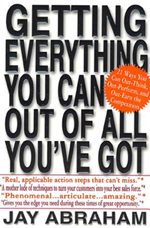 Detail how each concept can be universally applied by anyone, including YOU. For this recording, over 6 hours of interview content was edited down into 61 minutes of focused, informational, "how-to" marketing and business growth advice. No fluff. No fat. No filler. Jay explains how he built this company from $20,000 to $13 Million dollars in just 18 months with ZERO advertising money… and got 18 million dollars of free advertising (11:36) Guess what, you can do the same! Just this audio recording alone has been sold to thousands of happy customers for $169 apiece, and it's worth many times that. One Idea Nets Jeweller $47,000 in 3 months! “This recording really hit home for me when I heard Jay talking say customers are not buying a product, they are always buying a result, a benefit – an outcome that is self serving for them. As a jeweller, I spent way too much time on the technical and structural parts of MAKING jeweller, totally forgetting to mention how a new, dazzling piece of sculpted art will make my client feel and look once she puts it on her finger. 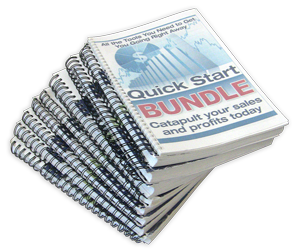 You not only get the Audio CD (great for listening in the car or on any CD player or computer), you also get the full, unedited transcript of the interview, which is ideal for making notes, underlining key passages and most importantly, scribbling down how YOU can apply these concepts to create windfall profits and new revenue streams in your business. Guess what? Not only do you get the AUDIO CD to listen to in your car and the word-for-word transcript, with this Toolkit you also get access to the audio streaming version that you can access anytime, anywhere when you’re online. It’s just another way to make it dead easy for you to get inspired and excited about growing your business. Jay Abraham’s Windfall Profits Report is the classic report that has inspired, transformed and liberated business owners from the slavery of their business to mastery of entrepreneurial success. These 35 pages will completely shatter your perception of what is possible, shifting your dreams from an unattainable vision to a reality than can be applied in your business within days. Imagine blowing your competitors out of the water without them seeing you coming… Find out how on page 18. Plus another 12 pages filled with insights, ideas and solutions you can apply in your business today! It’s been said that the Internet is the easiest that’s hard to do – in this concise ‘Manifesto’, Jay shares with you his vision for how to use the Internet as a lever to propel other exponential marketing strategies into over-drive. This report’s succinct style packs a lot of punch. Dr Napoleon Hill in his classic bestseller ‘Think and Grow Rich’ first introduced the concept of MasterMind Groups. 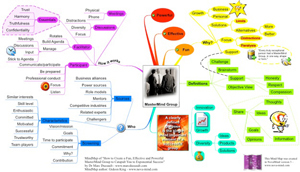 This vivid full colour MindMap summarises everything you need to know to create a fun, effective and powerful MasterMind Group to catapult you to exponential success. It’s a handy reference to assist you in creating this phenomenon that will help you produce countless lucrative ideas that will help you out-perform your competitors. Not only do you get the full word-for-word first chapter of Jay’s book in a PDF format you can print and then write all over, you also get a full one-page colourful MindMap of the whole 15 chapters of the book. With a detailed flight plan, which this first chapter is all about, you can pick any destination you want your business to aim for -- AND GET THERE! Listen in on this all-time classic interview with the world’s top Joint Venture specialists as they reveal their secrets on how they get people to grow their businesses for FREE. You, as an owner operator, can implement the same principles revealed to generate $10,000 to $30,000 more per month via Host-Beneficiary Partnerships. 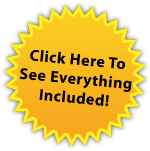 I have to be honest with you – you’re going to have to listen to this recording more than once to really grasp the boundless profit potential this represents for your business. The best part is when deploy these strategies, your competitors WILL NEVER KNOW WHAT YOU’RE UP TO! Sometimes transcripts are superfluous, but this one is a must-read because of the massive complexity of creating these relationships. You’ll want to print it out and make notes all over the pages AS YOU LISTEN to the audio as well as when you’re offline reflecting on how this can apply to you RIGHT NOW in YOUR BUSINESS. your door to do business with you? Imagine… if we could make that happen for you this month! Host-Beneficiary Partnerships - one of several Exponential Marketing Principles that creates a continuous stream of prospects that will line up at your door begging you to take their money, catapulting your income! Does the feeling of tapping into and getting a handle on this type of exponential marketing strategies resonate with you? Establishing Host-Beneficiary Partnerships is the singular most powerful strategy that can catapult your business by creating multiple income streams in your existing business within days. That's right, you read correctly, within days. I know it's hard to believe, but we'll show you how it's done FOR YOUR BUSINESS. With that being said, Host-Beneficiary Partnerships are widely misunderstood and considered to be a form of Strategic Alliance which is inaccurate and incomplete. JV OR H-B Partnership – how to determine what right for YOU? How do you negotiate a deal so you can’t lose? How can you turn your past/inactive clients into quick cash for your business? And everything else you need to know to turn this complex, little-understood concept into another River Of Revenue for your business. Every asset that your company has must be fully maximized if you expect to succeed and compete in the future. One of your biggest assets is your client base. You need to figure out how to turn it into ongoing cash-flow for your business. You have already made an enormous investment in your client base – now it’s time to reap the benefits. It takes years of focused and disciplined training to become a world class business entrepreneur. Host-Beneficiary Partnerships are like STEROIDS for your business. The #1 impediment to getting Host-Beneficiary Partnerships off the ground is uncovering and leveraging ‘hidden assets’. This comprehensive and exhaustive list that is a whopping 5 pages long makes the task as simple as ‘painting by numbers’… As you can see, this Toolkit has all the tools you need to start building your business, step-by-step and click-by-click. Can you answer the following 3 questions? How do you Sell or service your clients? What is the value Proposition they get from doing business with you? You can't sell to everyone and not everyone is your customer. Re-read the last sentence again. If you don’t have a Unique Selling Proposition or USP in your business, then that’s exactly what you’re doing. You’re chasing people who don’t want to talk to you. That’s fine because there are thousands who do! That’s why you need a USP, so the right people self-select and fall into your sales funnel by default, automatically. If you’re like most time-starved entrepreneurs – you can’t keep spending time talking to suspects and prospects who don’t want to buy. That’s exactly why you need the Unique Selling Proposition Workshop Transcript. Staged in June 2006, this 3-hour workshop was captured live and transcribed word-for-word so that you can read it as often as you like. It covers the step-by-step process required to design and create your company’s Unique Selling Proposition (USP). Not having a well-articulate USP is the single, biggest reason why many companies never reach the absolute true potential and maximum financial pay-off they seek. Without a concise, value-laden USP you’re leaving tens of thousands of dollars on the table. That money rightfully belongs to you but because you haven’t articulated clearly for your suspects and prospects what makes you the only choice – your competition ends up with YOUR suspects and prospects by default and turn them into THEIR clients! Having a USP means that prospects and clients will begin to come to you rather than you chasing after them - in some cases literally banging down your doors begging to give you their money! Creating a USP is second only to host-beneficiary partnerships as the most complex and powerful exponential marketing strategy to execute and implement in your business. It’s probably the reason why you still haven’t got around to it, yet you know how important it really is. A USP is the single most powerful element of Exponential Strategies that tilts the game in your favour, by ATTRACTING suspects and prospects to you INSTEAD of you TRYING to sell people who aren't interested in what you have to offer… It creates a magical transformation from having a PUSH strategy to a PULL strategy… It’s like having a ultra powerful client attracting magnet! This easy-to-follow workshop process was captured in this transcript. Its RAW, unedited content combined with the accompanying case study takes all the guesswork out of the equation and is all you need to leverage one of exponential marketing’s most powerful and potent strategies. This case study gives you a behind-the-scenes look at the creation of a USP via an e-mail correspondence between Monique Macleod of Scotia Finance and Dr Marc Dussault. Monique attended the USP Workshop, but she was struggling, as many of us do, with the practical application of this massively powerful concept. Dr Dussault takes Monique through a step-by-step process to create her company’s USP in less than 1 hour using his Graphical Conceptual Framework. This document has become a legendary Australian case study, helping hundreds of entrepreneurs in dozens of industries. Use it TODAY and within a week you’ll find yourself with clients banging down YOUR door begging YOU to take their money! Imagine turning the worst economic and financial situation into your most potential ally - secretly, like a stealth bomber the enemy never sees or hears coming! A simple ‘recession-proof’ strategy that will instantly boost your profits by 10-25% while giving you an EXTRA 1-2 hours EACH DAY! A simple way guaranteed to get your prospects and customers to open their wallets and spend money with you PROVEN to work best in a recession! What to do in your business during market slowdown so you don’t drown in debt or go bankrupt – A PRICELESS strategy that could SAVE your business – literally! 8 Exponential Strategies to help you grow and prosper during recessionary times. Yes, grow and prosper in the middle of a recession. The #1 strategy to help you out-smart, out-strategise and out-earn your competition BECAUSE of what they are going to do during the recession and what you will do to COUNTERACT them. Consider it corporate Judo, where the MORE they do X, the MORE money you make - wouldn't that be really cool?!?! What to do when the recession hit new record lows. Once panic and desperation set in, you need to be ready to pounce with all you've got. 3 Exponential Strategies that will leave your competitors bewildered, confused and paralysed as you smoothly and effortlessly accelerate your recovery after the recession with greater market share and higher profitability than your competitors. This 47-minute Video contains real, practical value. You’ll learn ONLY what's relevant to you, so you can IMMEDIATELY start exploiting the downturn crisis to your advantage and protect yourself from a potential catastrophe. No fluff. No Hype. 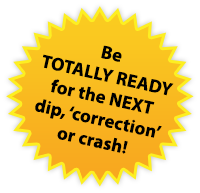 This recording is a totally raw, unedited, 'cut the crap' and tell-it-like-it-is content that will have you rewind the video over and over so you don’t miss any profit-triggering, wealth-creation and asset-protecting details. This is a simple, easy-to-use, one-page checklist of the 100 most-powerful Exponential Marketing Strategies you can use right now to create profit windfalls. Consult the Checklist to gain an unfair advantage over your competition who are lost because they don't have a clue what first step to take, let alone the best route to reach their outcome! Instead of becoming 'fixated' on a marketing problem or challenge, consult the checklist to get a big-picture overview of some of the most powerful tools and strategies in your arsenal. This Checklist will ensure you spend more time on strategy and implementation instead of indulging in analysis paralysis. This 48-page SECRET report with dozens of hyperlinks will show you how to leverage the Internet to massively expand your reach and effectiveness to pull in thousands of dollars of income into your business while cutting your marketing and promotional costs in half. It has never been released as a product – previously reserved only for the most Elite Platinum and Diamond Members. Access the audio version of the USP transcript previously described – usually reserved only for Elite Platinum and Diamond Members, this audio will be made available for a few weeks as an additional bonus – there’s nothing quite like hearing people’s reactions, challenges and breakthroughs – LIVE. The Ability To Create A Hole"
When all you have is a hammer, everything looks like a nail! 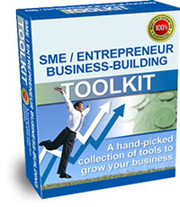 With this SME Toolkit, you'll always have the right tool for the right job. No one goes into a hardware store looking to buy a hole - they go looking for the best drill to create that hole. Or they look for the hammer that will help them secure the nail in the wall to hang their treasured family portrait. This Business Building Toolkit is the same thing - I have assembled all the tools, gadgets and ’thingammyjigs’ you need to create SALES AND PROFITS in your business. Trying to evaluate all the components can easily create analysis paralysis - plus you’re focusing on the drill - not the holes or benefits you will create. The drill costs $197 the holes (benefits) are worth thousands of dollars. Reduce your marketing costs by stopping ads that don’t work as Neville of North Sydney did - saving $2,800 while increasing sales 40% in 3 months. Get others to grow your business for FREE - like Caroline in Adelaide who partnered up with local retailers to refer clients at no cost to her, fully booking her services 3 months in advance with NO marketing or sales cost. Uncover hidden assets in your business that you can turn into cash - Mark in Melbourne started charging for a service that he used to perform for free, and is now putting $1,000/week of net profit into his bank account. Cut your sales cycle in half … you might even reduce it to ‘zero’ as a Sydney software company did reducing a painstaking 12-month process into a fun, 3-hour interactive session clients enjoyed a lot more. Work less, earn more. One single idea can save you hours of wasted effort. This Toolkit has HUNDREDS of ideas that you can cherry-pick from so you can get you home in time for dinner every night. Shift your mindset. As Einstein said, “The thinking that created the situation you’re faced with right now, will not get you out of it.” This Toolkit will shift your thinking each and every time you use it. Get motivated and inspired again - you’ll join Gerard in Geelong who literally jumps out of bed each morning excited about his business again after a few years of boredom and complacency. Stop being out-performed by people dumber than you. It’s got to be frustrating to watch someone dumber than you get the contract or order, drive a nicer car, live in a better neighborhood - just because they have better tools. Aren’t you due for an upgrade? Sometimes, all you need to do is 'tweak' or fine tune something that’s already working. 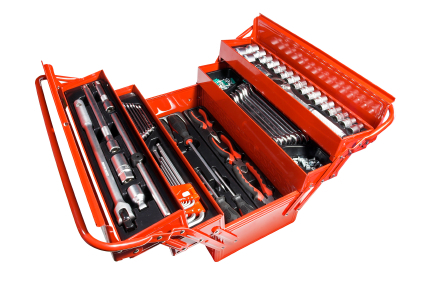 In this toolkit, you will have such a wide variety to choose from that you’ll be able to solve the most perplexing problems quickly and easily - like that pair of pliers or ratchet wrench that can reach where you fingers can’t. What's that you’re saying? A 0% Money-Back Guarantee? That’s right. Usually, we promise you everything including a full-no-questions-asked 100% Money Back Guarantee. Frankly, for this product we’re not going to do this. I mean c’mon - this is only $197. Even when we offer a 100% Money Back Guarantee, less than one percent of purchasers call us on it. Which means - A 99% SATISFACTION RATE! That’s at the FULL PRICE of $1,997. So if you have ANY DOUBTS at $197, this Toolkit is not for you. Simple as that. Think of it this way - you won’t think twice about taking a tyre-kicking prospect who’ll never buy from you to lunch and picking up the tab setting you back $50 to $100, yet you’re hesitating to spend $197 on The World’s Top Business Mentors that you can access 'on demand'… Really? Others Paid $1,997. You Pay Just $197. Are you tingling with excitement? You should be. This is more than a 100 to 1 value proposition. You pay $197 and get more than $1,997 plus BONUSES that surpass $2,700 in value. Why would I do this? You know the story, but you might not know the motivation behind the story. 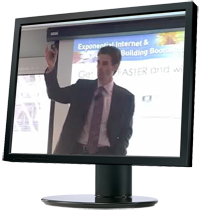 With an Exponential Mindset, I know that I have to do out-of-the-ordinary things (give you all this value) to get extra-ordinary results (get you on the path to Exponential Profits). I also know that for you to truly have your breakthrough, I have to help you overcome 10, 20 or even 30 years of non-exponential thinking (to be politically correct about it). That’s a lot of de-programming. If I didn’t price this at $197 there would be people who would hesitate, procrastinate and miss out. Many people live out the metaphor of the movie Groundhog Day starring Bill Murray – repeating the mistakes of the past over and over and over and over again. It’s no wonder they’ve lost their faith and their self-belief. This is a SHOCKING OFFER that FORCES you to TAKE ACTION NOW and BUY it before it’s gone. Don’t take this lightly - this is the give-away of the year… You know the story of WHY I am doing this - take advantage of the situation and get 100 to 1 Return On Your Money. Think about it this way… What can you lose for $197? DOZENS of new ideas, if not hundreds. But here’s the catch. After the inventory runs out, that’s it. This Toolkit won’t ever be offered at this bargain-basement price of $197 ever again. Or when our inventory runs out – whichever comes first. As you no doubt understand by now, we cannot extend this offer and we cannot manufacture any more Toolkits once they are sold out. Get yours now, an offer like this will not come along again any time soon -- certainly not at anything close to this price point. Disclaimer: Due to the product’s original creation in 2006, some of the elements and bonuses may no longer be available and will be substituted with components of equal or greater value.